Diamond Details: Round brilliant cut white diamonds, of I color, SI1 clarity, of excellent cut and brilliance, weighing .90 carat total. 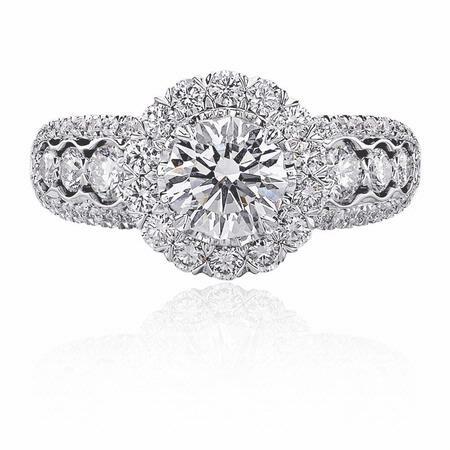 This gorgeous Christopher designs 18k white gold engagement ring setting, features round brilliant cut diamonds, of I color, SI1 clarity, of excellent cut and brilliance, weighing .90 carat total. 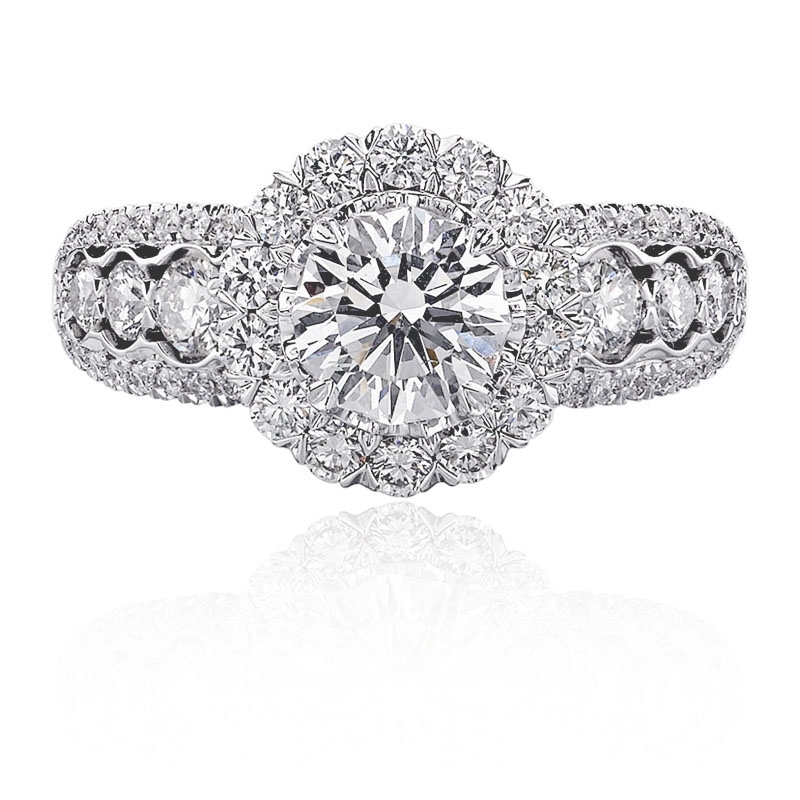 This setting accommodates a .89 carat center stone. The price does not included the center stone. Available upon request but sold separately. Christopher design rings can be ordered in any finger size. Some sizes may be special ordered and take approx 4-6 weeks to deliver.